Aprés wedding chit chat, anyone? Did the bride have to buy her own dress? - Amirite? - Post your opinion and see who agrees. Aprés wedding chit chat, anyone? Did the bride have to buy her own dress? I think she was thinking to play Elizabeth 1...when she dressed to marry God. I did like the rendition of "Stand by Me..."
I would've had Cirque du Soleil. Although the Ave Maria was exceptional. According to Forbes, Queen Elizabeth II had an estimated net worth of $530 million as of 2016. Forbes also reports the British monarchy "contributes nearly £1.8 billion to the UK economy" annually, including £550 million in tourism. Hell if I know! You could probably look it up! Most brides do buy their own dresse or the family does. And I heard that yes, she did buy her own dress. I thought it was a beautiful wedding and a beautiful dress. Not as pretty as Kate's but very nice and very becoming. She looked like a princess and now she is one. Someone got married? (kidding) ... honestly a bit glad I got to miss most of it . 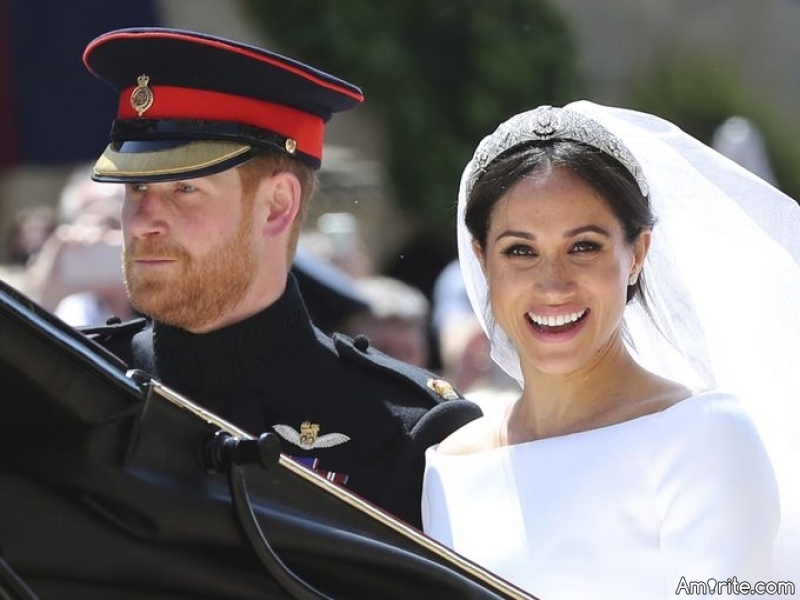 With all due respect to the Royals (and Prince Harry has always been one of my favorites)... and I think even they might agree with this... too many eyes and attention on them, and not enough on the common folk, such a commons Wedding. Sure it won't be as fancy, but it might be more realist and relaxed feel. I should imagine the UK tax payer bought it. Royals are surprisingly frugal about clothes. Except the queen. She knows she has to stand out in a crowd.